The avenue-dwelling Pokemon of the world are rejoicing, as a city in Hawaii just took the first step in ensuring those brightly colored creatures will remain free forever—so long as they take up residence in the middle of the road. NPR reports that Honolulu will begin issuing tickets to anyone caught looking at their cell phones while walking in a crosswalk, the first law of its kind in the country. 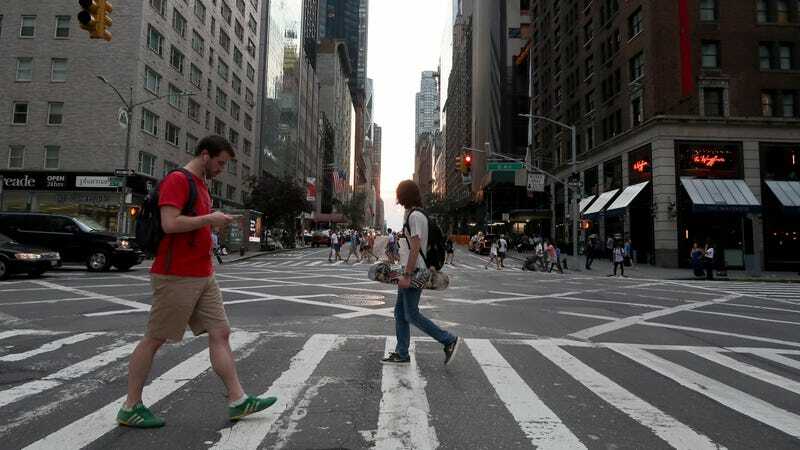 Known as the “Distracted Walking Law,” the bill was signed into law over the summer, and went into effect this week. It’s not yet known if those same idiots who responded to environmental standards by modifying their cars to spew black smoke will similarly spurn this law by keeping their eyes fixed on giant screens when they step into traffic, but The A.V. Club would like to remind them that no one can take their freedom from them, and maybe they should remind the world of that by doing something about it.